For those of you who don't know what manhwa is, it's Korean comics. 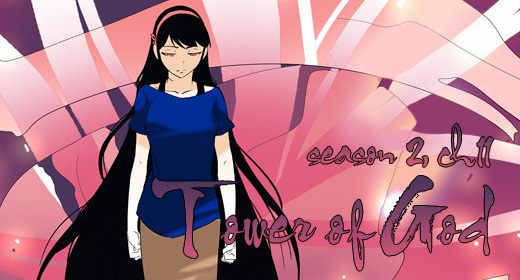 Anyway, this entry is about an awesome new manhwa I've started reading called Tower of God. I read it in Korean, which you can also read if you click here. For those of you who can't read Korean, scanlators have picked up on this wonderful piece and you can read the English version here. Credit goes to The Company for English scans. For those of you who read a lot of manga, the plot of this manhwa is pretty much a never-ending Hunter exam from Hunter x Hunter. However, I find the characters, plot, and everything else from ToG far more superior. On top of that, it's in full color! The best part of the manhwa is how immersive the world is. The author actually has everything planned out and adds tons of extra tidbits in his blog unlike many other mangas/manhwas, which feels like the author is making it up as he/she goes. 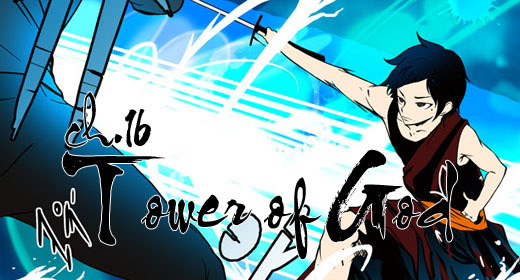 In fact, the flow of ToG sets it apart from all the comics. The storyline isn't dragged out nor divided into multiple arcs. It's one continuous flow that feels just right. PS. The artwork might be unappealing to some, but the quality greatly improves throughout the comic. edit2: and my favorite character is laure. love geniuses. The story begins with a boy named Baam the Twenty-fifth, although he is referred to as just Baam to avoid a lengthy name. Not much is told about the world except for the existence of a Tower. Initially, the Tower was ruled by mythical beasts known as Guardians. Every floor in the Tower has a Guardian, except one, which will be explained later. Anyway, one day a hero named Zahard enters the Tower and faces a test from each Guardian. He, or his group of followers known as the 10 Great Families, end up passing every test all the way up to the 134th floor. As a result, he is given control of each floor where Zaharad continues to uphold the system set up by the Guardians. In fact, the Guardians still assist him with the tests. Guardians pick and choose residents inside the Tower to be tested. Upon passing each floor test, they are allowed to ascend the Tower. Rumor has it that at the top of the tower, you can have anything you want so there is no shortage of individuals trying to climb the tower. Unfortunately, no one has been able to pass the 135th floor of the Tower. Many strong individuals have passed the test and reached the 134th floor, earning the title of "Ranker." These are the highly gifted individuals. But even amongst these, the top 1% of the Rankers are known as High-rankers. Most of the High-Rankers are people directly associated with Zahard's comrades, the 10 Great Families. However, every now and then, an anamoly appears and an individual is able to enter the Tower on his own without being chosen by a Guardian. Two such known figures are Phantaminum and Enryu who are so strong that they are ranked higher than Zahard himself. In fact, Enryu was the one who killed a Guardian, a feat previously thought impossible. I don't know...considering they're still on floor 2 and even Uruk took 50 years to climb it, it makes me feel like this is actually one of the most dragged out stories I've ever come across. If the author doesn't pick up the pace somewhere along the way, this will never end. 70 chapters in and only now Yuri makes it to the 2nd level? It was worth the wait though. I do enjoy it, but I don't actually feel it's as good as you make it out to be. It's appealing and a good read, but if you think about it, not much has really happened. In a way, it's still just the beginning, so judging it as superior to HxH in every way is hyping it way beyond what it currently deserves (though the world and history which the author has outlined is pretty amazing) and it's still far too early in the story to rate it that high. You probably didn't read Hajime no Ippo then. LOL. As someone who is up to date on both Hajime no Ippo and Tower of God, I agree completely. I think that Tower of God of is paced pretty well in its own right, and even more so when you begin to compare it to the likes of Hajime no Ippo, DBZ, etc. Where the story is now (where I'm at in english translations), I think that the author is still not done setting up all of the main conflicts. Once he's finished with this, you can probably expect the story to progress a little more quickly. Although I still wouldn't mind if the pace remained how it is. "DONT TOUCH ME WITH THAT @#$%ING PROBE." User was probed for this post. Aren't manhwa Chinese comics, and manga Korean? The story sounds interesting, but it also sounds like it's a shounen, which I don't like. I'll check it out. "My goal is to replace my soul with coffee and become immortal." Ah thanks. I knew that but I somehow mixed it all up haha. I dislike when people use the art or drawing style as a reason to not read a manga (or manhwa in this case). It reminds me of all the people who are turned off by Eiichiro Oda's unique drawing style in One Piece and don't give it a chance because of that. I found out about Tower of God about a month or so ago, and while I did think the art was kinda weird cause I wasn't used to it, I stuck around for the story. I haven't looked back since. I admit I didn't, however the difference is the "end point" of Tower of God has been established from the beginning, and at 70 chapters in, we are nowhere close. We know 50 years is the fastest anyone has climbed the tower, and right now, the story seems to be progressing in real time. If we assume they pass the 2nd floor by chapter 80 and this pace is held constant, the story won't actually end before we die (which is apparently what you guys want, but I don't). So unless something in the pace changes, Baam will be over 100 years old at the end, assuming he takes the average time to climb the tower. Since he is an irregular, this is unlikely, but the author so far has not had Baam do anything crazy enough that involves truly breaking the rules as most irregulars have done or climbing at a speed anywhere near Uruk's pace. If or when Baam finally disrupts the tower as past irregulars have done, the pacing would dramatically shift because the rules of climbing the tower will no longer force a need of literally over 9000 chapters for him to reach the top. In other words, it's not that the pacing is slow compared to other works, but that we know the story won't end before we die at this rate. That's why I said it feels dragged out, because if the author wants to end this story in the next 50 years, something has to change. Love this manhwa. liked orange marmalade too... and God of Highschool / Transfer Student StormBringer. Common, don't link it on mangareader when the "scanlator" promotes the batato site for reading manga on. Oh and the manga is great. I like it a lot. It is good that the author already is showing things that are irregular about the main character. Like his resistance and quick talent in learning the basic handling of his skills. Looks like he will quickly ramp up and get up in something like 10 years. There is also no reason to show every single thing he does after the character is built up, only the spectacular ones. Even epic series like One Piece skips a lot of content. I never got into One Piece because the chapters I tried reading were ridiculously hard to read. The text is just everywhere and the drawings don't make reading much easier. Am I wrong in thinking this or does it get better as it goes on? How does it feel knowing you wasted another 3 seconds of your life reading this again? One Piece has a unique style. Most people get used to it quickly, some people are totally put off. It is the most popular manga ever for a reason though, so the majority do like it. I've read like, half One Piece because people are praising it a lot, but I still dislike it. Didn't have any problems with the drawing. Anyway, been continuously reading this manhwa, it's pretty ok.